VENTURES AFRICA – The next time you find yourself walking or driving through the Central Business District of Kampala, Uganda’s bustling, cosmopolitan capital, take a moment to gaze up at the city’s impressive glistering skyline. And if you bother to count the buildings one by one, chances are that you’ll count a decent number belonging to Sudhir Ruparelia, a Ugandan property developer, hotelier, banker and Africa’s newest billionaire. Born in Uganda 56 years ago, Ruparelia was compelled to relocate to the United Kingdom with his parents when he was 16. The year was 1972 and Uganda’s Indophobic leader at the time, Idi Amin had expelled all African-Asians from the East African country in an ethnic cleansing move. Idi Amin’s government claimed that indigenous Indians were hoarding wealth and goods to the detriment of indigenous African and were ‘sabotaging’ the economy. While in the United Kingdom, Ruparelia survived by doing menial jobs and diligently saving his earnings. By 1985, when he was 29, he returned to Uganda armed with $25,000 in savings with which he started building the eponymous Ruparelia group now valued at about $1.5 billion with interests in everything from hotels, residential real estate, insurance and floriculture to banks and educational institutions. His controlling stake in the Ruparelia group makes him Uganda’s richest man, with a net-worth of at least $1.1 billion, according to data available to VENTURES AFRICA. Legend has it that Sudhir Ruparelia, a 56 year-old ebullient, yet controversial Indian-Ugandan tycoon, owns half of the buildings in Kampala. Of course, this is a hyperbole of monumental proportions, but judging by the cheeky grin on his face, Ruparelia apparently relishes the exaggeration. “If I owned half of the buildings in Kampala, I’d probably be god,” he says cheekily. “Reports of my property holdings are quite frankly, grossly exaggerated. I don’t own half of Kampala as people suggest, but I own quite a lot. And I’ve worked very hard for it,” he says the last sentence emphatically. Ruparelia owns a significant chunk of Kampala’s most prestigious pieces of commercial and residential real estate and in some of the swankiest neighbourhoods in the country. Through one of his holding companies, Speke Hotel Group, he owns in his kitty, the Speke resort, a 5-star Hotel and resort which sits on 76 acres on an idyllic setting at Munyoyo on the shores of Lake Victoria. This is easily the most valuable asset in his extensive property portfolio. The resort has 59 Presidential suites, mainly because in 2007, the Commonwealth Heads of Government Meeting took place there and 59 Heads of state were present. Sudhir says he built the resort specifically for the meeting. Other facilities include 10 state-of-the-art conference rooms, including a 1,000-seat ballroom and 9 multi-function meeting rooms accommodating groups of 10 to 300. The resort also has Uganda’s only Olympic size swimming pool, an equestrian centre and a choice of bars and restaurants. The property has a current value of at least $160 million according to Ruparelia, a figure corroborated by a couple of estate surveyors in Uganda. In 2010, the Libyan Government had attempted to acquire the resort for $120 million. Sudhir declined. “The price was simply not good enough,” he recollects. “In any case, it would be hard for me to contemplate selling Speke resort. The place holds sentimental value for me. 59 Heads of Government were in this place. I think it’s hard to place a value on that,” Sudhir says during a recent lunch meeting with VENTURES AFRICA’s Managing Editor. While Speke Resort remains his most important property till date, Sudhir also owns an impressive collection of other valuable hotel assets. He owns the prestigious Kabira Country club which has 95 luxurious guest rooms. Kabira Country club is the preferred leisure spot of many of Uganda’s wealthiest people and young highflying professionals. Sudhir’s portfolio also includes Speke Hotel which is located in Kampala’s CBD and Tourist Hotel, a budget hotel also located in the CBD. He also owns Speke Apartments, which provide 27 modern serviced apartments in one of the best residential areas of Kampala. Rent at the apartments are not cheap – at least by Ugandan standards. The cheapest you’d pay for a one-bedroom apartment is $1,800 a month. And if you think the price is outrageous, the apartments are fully booked all the time, mostly by corporate executives, expatriates and government officials. But these are just five of his properties. Through his real estate holding company, Meera Investments (which is named after his first daughter), Sudhir owns at least 300 residential and commercial properties in Uganda, from the landmark Crane Chambers located on Kampala road in the CBD, which serves as the Headquarter for his many businesses to scores of other apartment blocks, shopping centers, office buildings and chunks of extremely valuable land in the city. He owns Baumann House, another landmark building in Kampala, located on Parliamentary Avenue, Kampala. The building houses the Headquarters of the Ugandan Police force and previously served as the office for over 200 Members of Parliament in Kampala. Sudhir also owns 2 private Islands. In 2011, Uganda’s President, Yoweri Museveni revealed that Sudhir earns $400m per annum from his businesses, mostly from his real estate concerns. Sudhir Ruparelia is the founder and dominant shareholder in Crane Bank, Uganda’s second largest commercial bank. The beginnings of Crane Bank were modest. When Sudhir Ruparelia returned to Uganda from the United Kingdom, he began importing popular brands of Kenyan alcohol with the $25,000 he had saved through his years of working menial jobs in the United Kingdom. Uganda had no breweries at the time and so the country depended largely on imports. Sudhir struck a coup when he acquired the sole rights to distribute Kenya’s most premium beer brands in Uganda. Along with importing alcoholic beverages, Ruparelia also ventured into importing commodities like salt, sugar and cigarettes from traders at the Mombasa ports. At the time, the vast majority of Sudhir’s customers were foreign nationals who paid for their stock in foreign currency. Sudhir spotted opportunity. He quickly formed an informal foreign exchange business. It became an immediate success, and Sudhir was making daily profits of about $10,000. “I knew I had hit something big,” he says. By 1989, President Yoweri Museveni banned the importation of beer in an effort to encourage indigenous manufacturing of alcohol. Sudhir decided he was not interested in producing beer. He opted to focus on his informal Forex business instead. In 1990, Sudhir formalized this currency trading business when he opened Crane Forex Bureau. It was the first of its kind in Uganda and it is still the biggest chain of Forex Bureaus in the country. With the daily profits Sudhir was realizing from Crane Forex bureaus, he started buying up huge chunks of land and dilapidated commercial and residential structures in Kampala’s CBD and other suburbs at ridiculously low prices. “Some of the properties I bought at the time were valued at about 30, 40, 50 thousand dollars. That was way back in the early 90s. Properties were cheap back then and we were making a lot of money on a daily basis, so I kept acquiring. Today, many of those properties are worth millions of dollars,” Sudhir explains. It was during this period (1990 – 1994) that Ruparelia acquired a huge chunk of land and property in Kampala’s CBD, as well as several other choice properties which house his numerous hotel, tourism and residential interests. Sudhir says he acquired some properties for as little as $50,000 in 1991 and they are worth $12 million today. Many of the properties he owns made their value within 4 years. It’s with the rental income earned from these properties and his thriving forex business that Ruparelia continually acquired more properties at dirt cheap prices. As Sudhir’s forex business became so large, he decided it was time to build an even bigger financial services corporation. He applied for a commercial banking license which was granted. By 1995, Sudhir opened the doors of his new bank, Crane Bank to the general public. Sudhir used customer deposits to fund large-scale forex deals as well as acquisitions, developments and other activities in the Ruparelia Group while leveraging on impeccable customer service, attractive interest rates for deposits and the largest ATM network in Uganda to lure customers. Today, Crane Bank is the second largest commercial bank in Ugandan- second only to Stanbic Bank. In 2011, the Bank’s Profit before tax (PBT) was UGX90.23 billion ($40m) representing about 61 percent of Stanbic’s pre-tax profit of $65.4 million. Sudhir is the controlling shareholder of Crane Bank. Other companies in the Ruparelia group include Goldstar Insurance, an Ugandan non-life Insurance firm. The Ruparelia Group also owns Kampala International School (KISU), an international high school in Kampala located in the high-brow Bukoto district. KIS’ students are children of Uganda’s elite and the school fees per annum are as high $13000. The property sits on 12 acres of prime land at the center of Kampala. The property the school sits on is valued at over $15 million alone. He also owns Kampala Parents School, a secondary school in Kampala for middle-class Ugandans and Rosebud, Uganda’s largest exporter of roses. Rosebud commands around 35% of Uganda’s rose export, exporting over 9 million stems per month. In 2010, a Canadian businessman Sadrudin Gulamhussein claimed Sudhir attempted to fraudulently acquire Gulanhussein’s $1.2 million property by forging a land title for the property located in Nasakero, a highbrow residential area in Kampala. The case lingered in court and the Judge ruled in favour of the Canadian businessman. Read more about the case here. 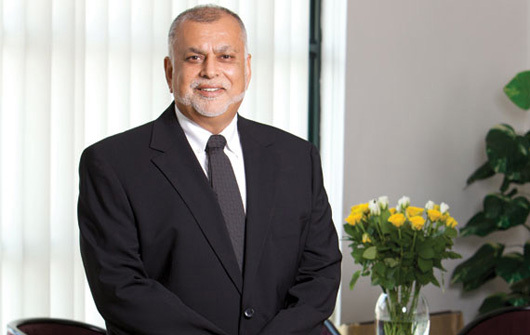 As Uganda’s richest man, Sudhir is also one of the country’s most notable philanthropists. Sudhir has given away millions to building churches, mosques, rehabilitating schools and funding hospitals. Not sure it was from the ground up. Maybe from other people’s grounds.